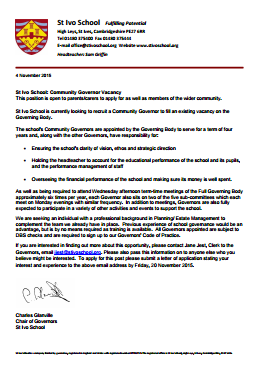 A vacancy has arisen for a Community Governor to join the St Ivo Governing Body. Parents are eligible to apply (you don't just have to be a parent governor). Closing date: Friday 20 November. Please share.